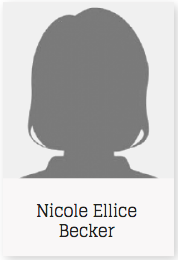 My name is Nicole Becker; I am a 31-year-old graduate student at Cornerstone seeking to complete my Post Graduate Certificate in Education (PGCE). Teaching and working with children has been my lifelong passion. I completed my Psychology Degree in 2007 with distinction and followed that with Psychology honours in 2009. I also trained in Hong Kong as an Applied Behavioural Analysis therapist – concentrating on autism as a learning challenge. The main focus of my studies has been in childhood development and educational psychology, both of which have been hugely applicable as theoretical perspectives for the teaching I have begun in schools and in-home therapy programmes for children with special needs. the PGCE have translated directly to the classroom where I have been assisting for the past year and half. Watching what the special needs students have already achieved during my time there has been the most rewarding piece of my academic and professional career. My passion for students drives me – this is what I love to do, and I believe I am changing the world through it. I want to finish my PGCE at Cornerstone so that I can continue to make a positive impact on student’s lives both inside and outside of the classroom. One can never stop learning!